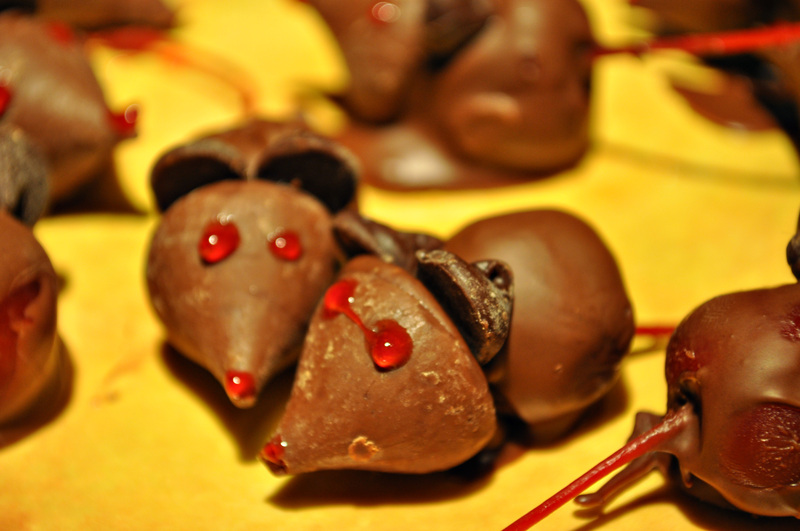 The Making of Mice and …..
Today we undertake a seasoned tradition in our little household. 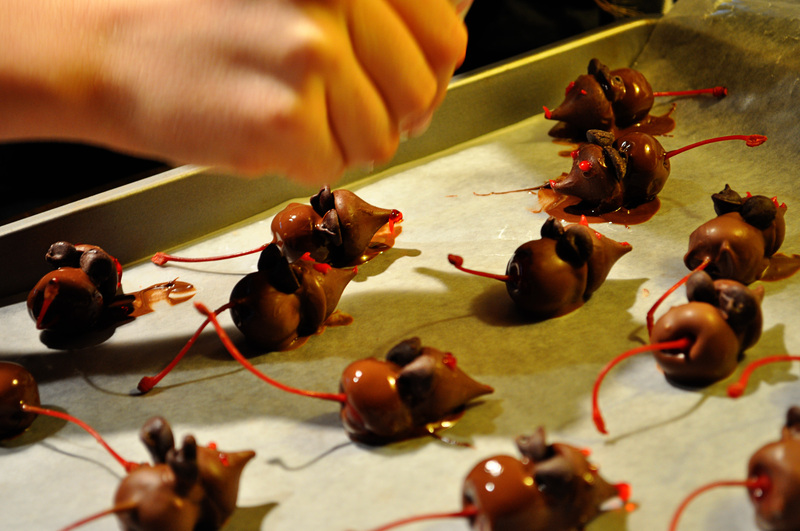 Today we make chocolate mice. 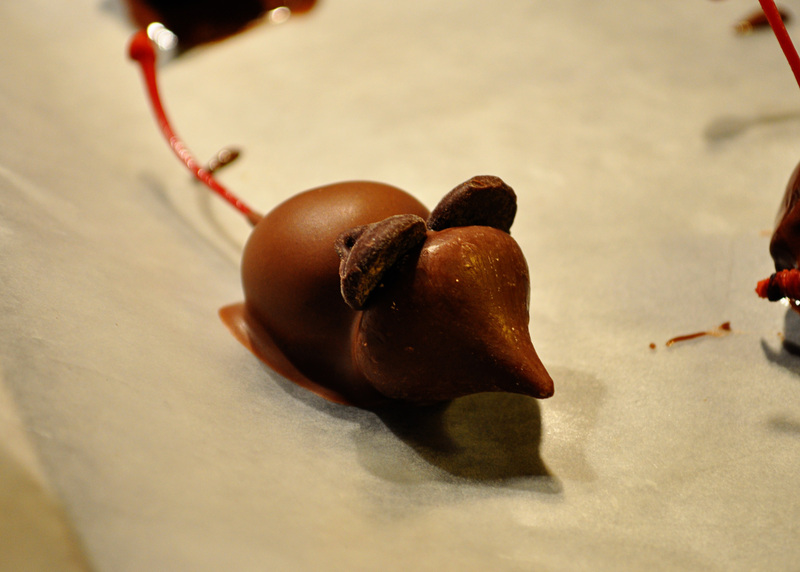 We started this fun endeavor about ten years ago when my husband came home with these delicious little chocolate mice that someone from his work had made. I took one apart and decided it wouldn’t be that hard to put more of them together. So here I am, at the bequest of my daughter, putting pieces of chocolate together to resemble little mice. These are the players in our game. 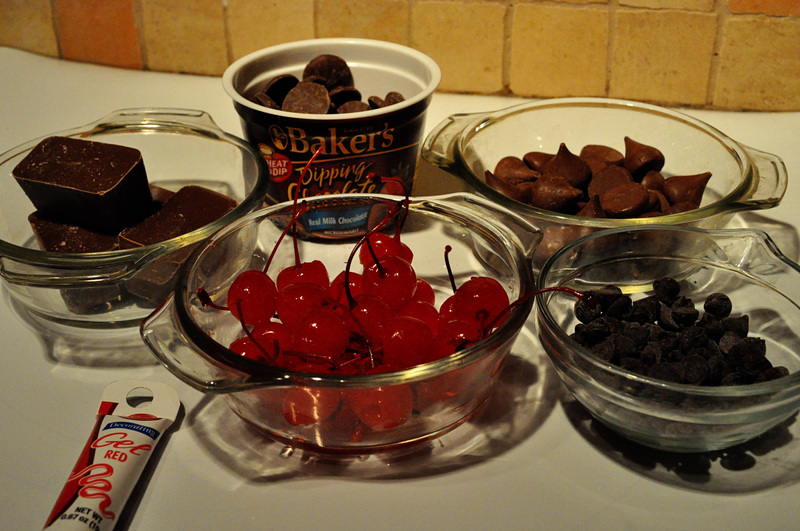 First, we have to melt the chocolate into dipping chocolate. 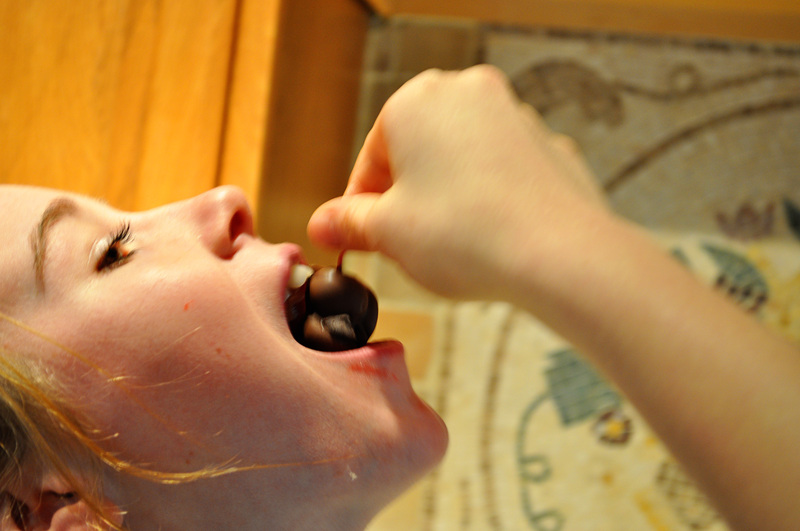 Then you take a cherry with a nice stem on it, and dip it in the chocolate. 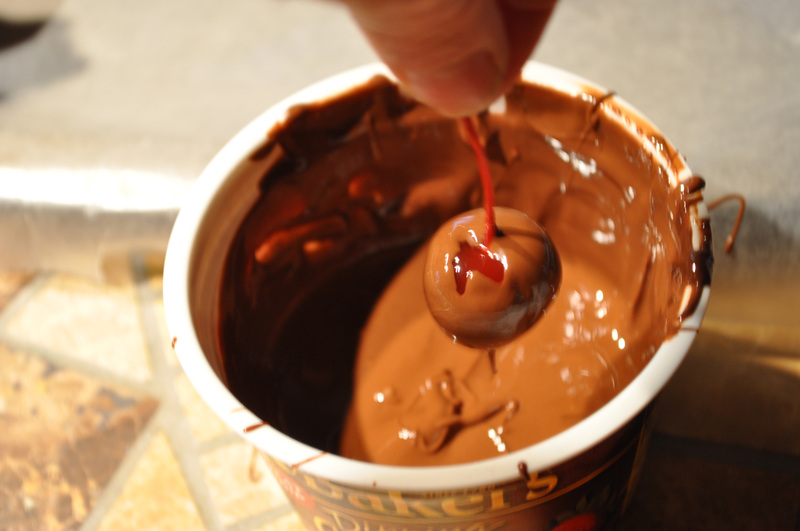 They if you lay the chocolate covered cherry on the pan first, it is easy to attach a plain Hershey’s kiss to the front. Tuck a chocolate chip behind the kiss for each ear to make a perfect face. We have a little army going on here. 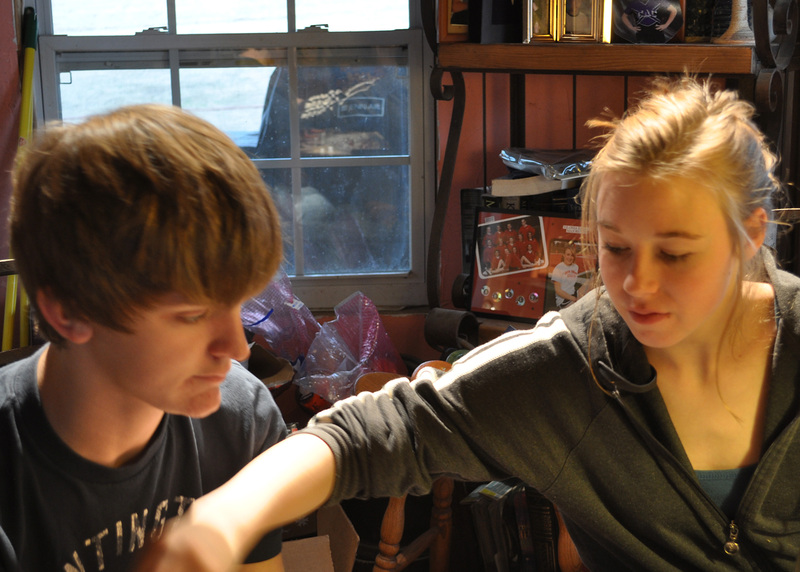 These are my little helpers today. After all the pieces cease their slippage, paint eyes on with a dab of frosting. My daughter seems to think we need noses on them as well. This is the finished product. 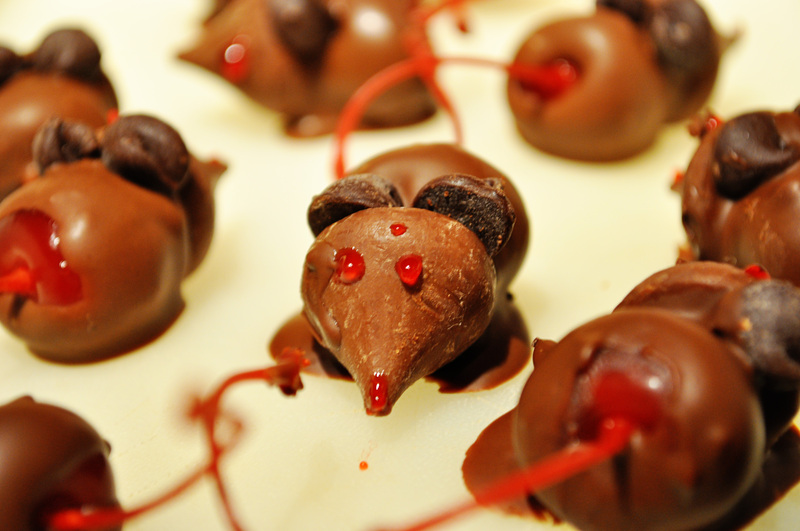 Little mice staring back at you. 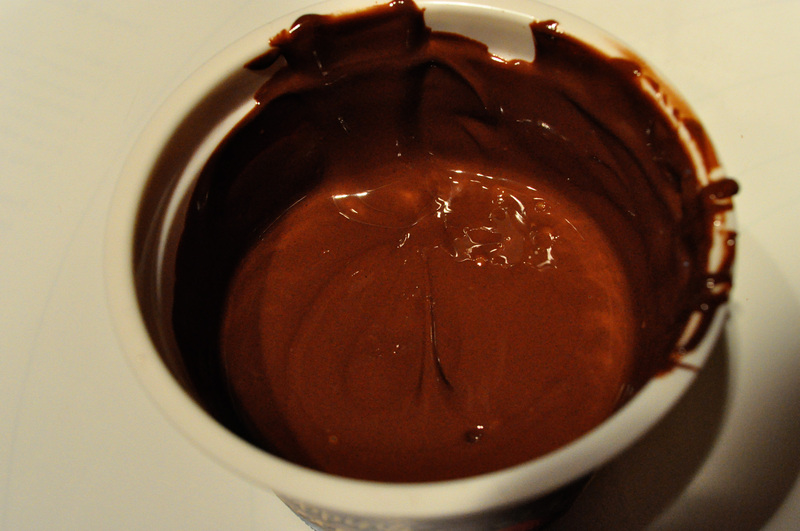 The most effective method of eating a chocolate mouse. My daughter demonstrates. We are the end of making mice. By the time we were through, my girl was tired of dipping and dabbing. But we have enough for friends and family. 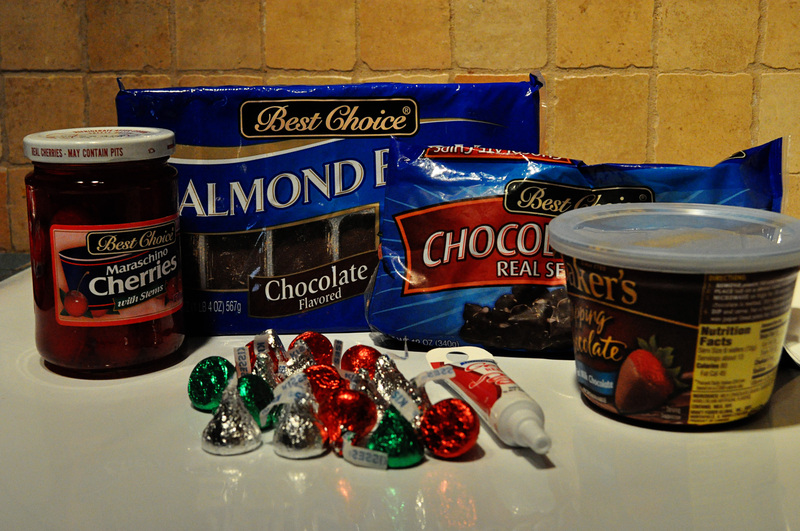 This is one of our holiday traditions. Tell me about one of yours it you have the itch. Mice can be a little piece of heaven. Jeanne these are adorable! But what do you use the almond fudge for? Can you put up a recipe to follow? These would be so fun and easy for the grandgirls to make! Thank you for sharing. Calisa, the almond bark is another alternative for the Nestle’s chocolate. You use it to dip those wonderful cherries in. Have fun with it. These look easy and yummy. If I made them however, I’d have to use the green cherries as my son can’t have Red Dye 40 (it makes him wild), so our mice would look a little different. I may give this a try however. Our tradition is a bread from Scandinavia called Julekake. My husband’s grandmother used to make it. It’s a bread with citron and raisins in it. Every Christmas morning about half way through opening gifts, my father-in-law brings out toasted Julekake and coffee. Now that Dina has passed, I’ve tried to make it but this year my father-in-law is making it. My daughter says Moose Munch Coffee (from Harry & David’s) is a tradition, too, but I’m not sure about that. So interesting Nancy about the bread. At our house when I was a kid we made STOLEN which has fruit and nuts in it. It was great toasted. I think green mice would give them some great character. How cute! My granddaughter would love making & eating these. Thanks for the great post, Jeannene!